On 24th March the Deep Silver released another stunning new trailer featuring Guerrilla Warfare 101. 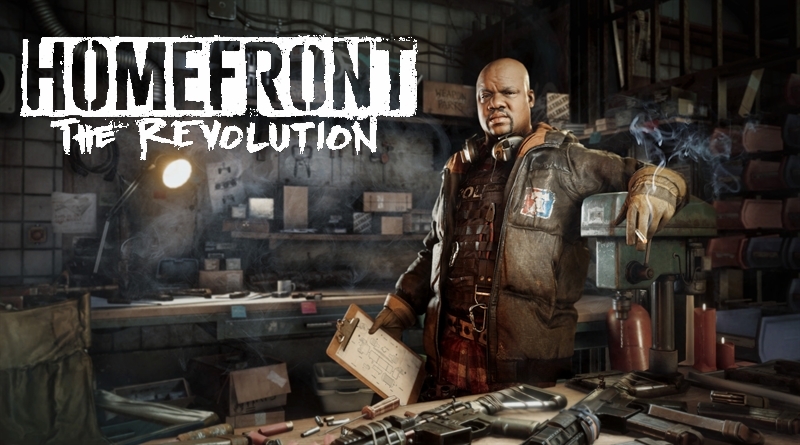 Homefront: The Revolution is a first person shooter open world action video game sequel to the Homefront that was released in 2011. The new Homefront The Revolution Trailer Guerrilla Warfare 101 showcase different tactics, weapons, character, vehicles and much more. In the game you will lead Resistance movement against the Korean military force. The new trailer presents various survival tactics that players need when they are on the field against superior forces of KPA with technologically advanced weapons and vehicles. This new trailer beautifully guide and train us that how we can take down military forces in different ways such as head on and stealth attacks. You can modify your weapons on the go such as adding grip or silences to weapons, and implement different strategies in times of need such as infiltration tactics. If things get out of control and standard weapons cannot put pressure on enemies you can convert your weapons into machines of mass destruction. For example, you can convert your pistol into machine gun or your assault rifle into mine launcher that can deal heavy damage to armored enemies. In the game you are outnumbered and to take down KPA your best chance is to use the the Guerrilla Toolkit, it has different explosive items such as incendiary devices to ambush and attack KPA, hacking devices to hack and turn different their weapons against them. You can also modify your Guerrilla Toolkit items to lay different proximity traps. The trailer also showcase a motor bike for the hit and run situations, you can hit enemy targets and run to another point to attack more military fighters on the same day. Just remember one thing that Resistance relies on you.